Beyoncé returned to her Coachella throne for the festival's second weekend on Saturday (April 21), making some conscious tweaks to her set — as well as one particular unplanned change. Bey's sister Solange once again graced the stage as a guest, but things didn't go quite so smoothly for her second appearance. During their dance number, the younger Knowles sister leapt into Bey's arms and they both toppled to the ground. Ever the professional performers, both Beyoncé and Solange did some impromptu floor work and laughed the whole thing off. Watch a clip of the tumble below. 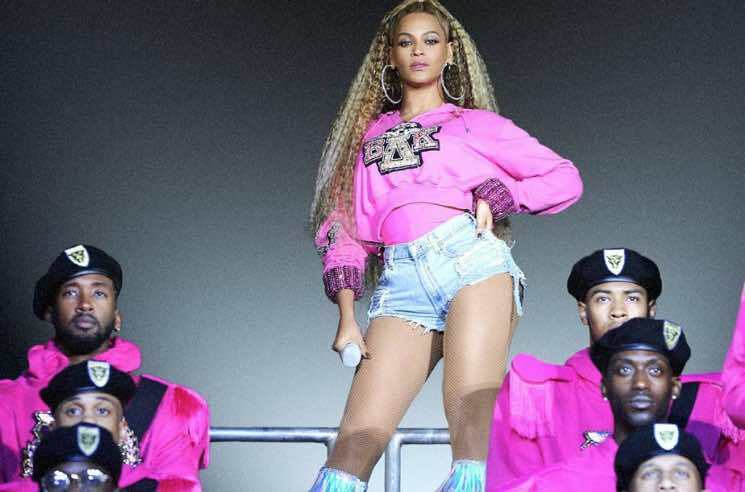 During her set, Beyoncé once again brought out her Destiny's Child bandmates and her husband JAY-Z, and even added her "Mi Gente" collaborator J Balvin to the lineup for the second time around. Last week, Queen Bey added to her iconic Coachella performances by unveiling a line of limited-edition Coachella merch.